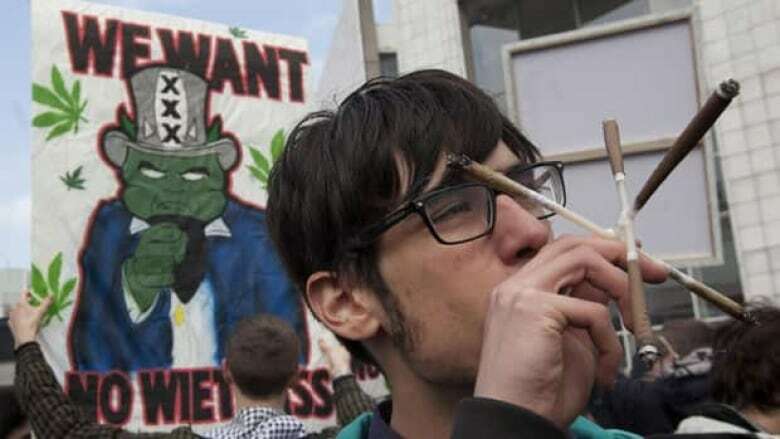 A policy barring foreign tourists from buying marijuana in the Netherlands goes into effect in parts of the country, with attention focused on the southern city of Maastricht, where a cafe was warned over violating the ban and around 200 smokers marched in protest. A policy barring foreign tourists from buying marijuana in the Netherlands went into effect in parts of the country Tuesday, with attention focused on the southern city of Maastricht, where a cafe was warned over violating the ban and around 200 smokers marched in protest. 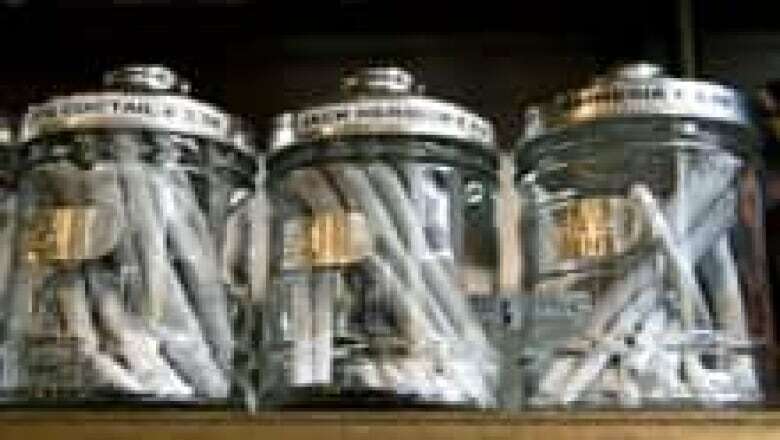 Weed is technically illegal in the Netherlands, but it has been sold openly for decades in small amounts in designated cafes known as "coffee shops" under the country's famed tolerance policy. Under a government policy change, as of May 1, only holders of a "weed pass" are supposed to be allowed to purchase the drug in three southern provinces. Nonresidents aren't eligible for the pass, which means tourists are effectively banned. The policy isn't supposed to go into effect in Amsterdam, home to around a third of the country's coffee shops, until next year — and it may never be. The city opposes the idea and the conservative national government collapsed last week, raising questions about whether a new Cabinet will persevere with the policy change after elections are held in September. Most attention Tuesday was on the city of Maastricht, which borders both Belgium and Germany and which has suffered the effects of a constant flow of traffic from more than a million non-Dutch Europeans driving to the city annually just to purchase as much cannabis as possible and drive back home. Most shops in Maastricht plan to refuse to use the pass and kept their doors shut Tuesday. There was one exception: the "Easy Going" shop of Marc Josemans, chairman of the coffee shop owners' association, which remained open just long enough to provoke two legal conflicts he hopes may ultimately derail the policy. First Josemans turned away a group of foreigners who oppose the rule, and who went to the police to file a discrimination complaint. Then he started selling weed to anybody willing to buy, without checking for passes. "The police paid me a visit about a half an hour later and warned me I was violating the new rules, and if I do it again, I'll be closed down for a month," he said in a telephone interview with the Associated Press. Josemans said he planned to continue selling to all comers, and he fully expects to see his shop closed. His response to that would be to take his case to the European Court of Justice. "Discrimination is never the right answer," he said. Around 200 protesters marched though Maastricht protesting the policy. The city's mayor Onno Hoes said at a press conference that the coffee shops closing all at the same time was a "rude" move. "They're disrupting society like this," he said. Early reports from other affected cities — Tilburg, Roermond and Eindhoven, among others — were that most shops were either remaining closed, or ignoring the pass. "They'll wait it out until this whole pass plan goes away," Josemans said. Most Dutch weed smokers aren't getting the passes, assuming the law won't be enforced. Some are worried the information they have obtained a weed pass will somehow leak from a government database and cause them difficulties with health care insurance or getting a mortgage. A former chairman of the Netherlands' Police Union Hans van Duijn told reporters in front of "Easy Going" that he believes the new policy's negative side effects will outweigh any benefits and that enforcing it would waste precious resources. "Everyone who is rejected here will walk a few metres down the street to the drug dealers who drive over from Rotterdam, among other places, and ride around in large numbers," he said. Robert Anthony, a Belgian, said he "regularly" comes to the Netherlands "to buy weed in peace." He predicted it will be "chaos on the streets very soon." Ironically, the reason the Dutch tolerance policy got going in the 1970s was not on the theory that marijuana was OK — it has always been viewed as a public health problem — but because containing it in shops seemed like a pragmatic way to deal with the problems caused by street dealing. 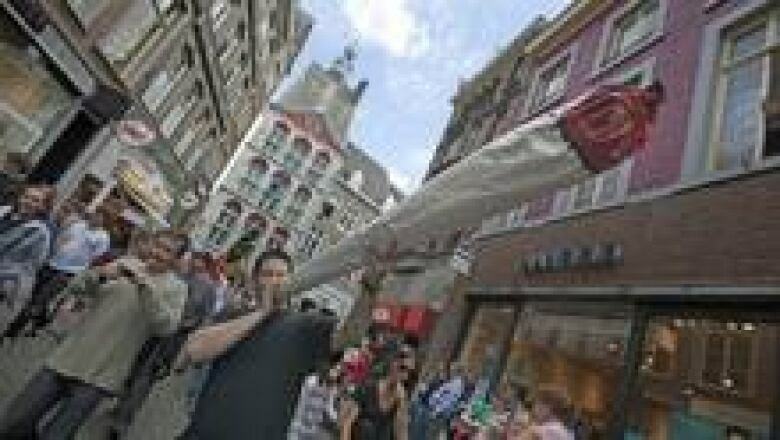 But a growing body of evidence linking the drug to mental illness and a decade-long shift to the political right in the Netherlands has already led to minor changes in the policy, notably the closure of many shops located near schools or known for causing problems. But the weed pass policy represents a significant change. Asked whether he thought the policy will succeed, Justice Minister Ivo Opstelten said he was certain it will. "The next Cabinet can always roll back everything, but they will continue prudent policies," he said. "I think this is smart policy, so I'm not worried about that."